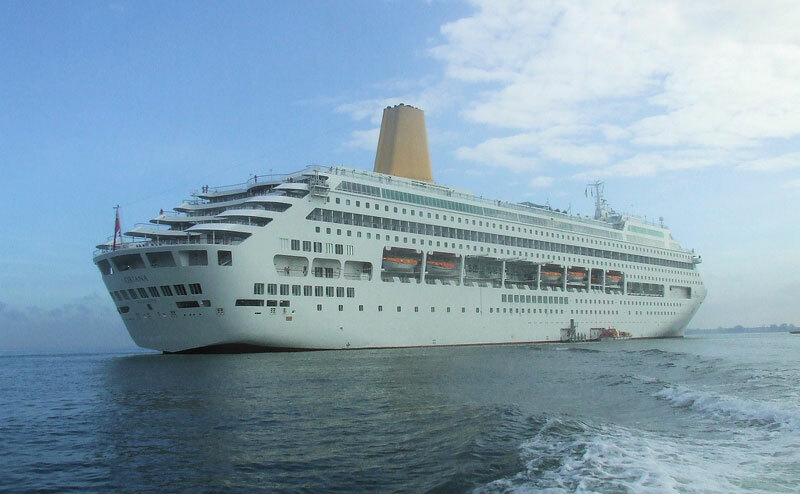 The P&O Oriana has returned back to Port after a fire broke out in the ship engine room. The small fire broke out yesterday evening (April 18th) at around 7 PM not long after the 65,153 gross ton cruise ship departed Miami, Florida. From what we can tell the damage was minor as the P&O Oriana has now departed Miami once again. No injuries have been reported. The news first broke via @PTZtv and they mentioned that a viewer of one of the web cams heard radio messages between the cruise ship and the US Coast Guard. @hcastle97 @nbcmiami @CruiseLaw One of our viewers heard “engine room fire” in radio traffic with USCG but this is unconfirmed info!!! @itsme_heather Yes… unclear if passengers on deck are sight-seeing or not allowed in cabins. Definitely many more than we typically see. When Oriana came back into PortMiami it was helped by tugs as seen on the @PTZtv web cam. Cruise Hive has requested further details from the cruise line and will update this post once we get a response. The cruise ship is sailing a 32 night Caribbean and US cruise which started from Southampton, UK on April 4th. P&O Oriana was heading towards Key West, Florida when the fire broke out.